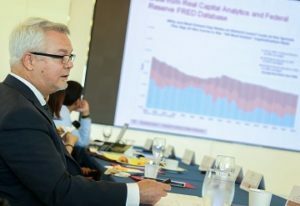 The Center for Real Estate and Finance at the Cornell SC Johnson College of Business and real estate faculty at the School of Hotel Administration are pleased to present a real estate symposium on May 3, 2019 in the Silver Birch Suite of Statler Hall featuring nationally recognized academic faculty. Notable faculty participating in the symposium include Dragana Cvijanovic, Assistant Professor of Finance at University of North Carolina; Erasmo Giambona, Associate Professor of Finance at Syracuse University; Amir Kermani, Assistant Professor of Finance and Real Estate at University of California – Berkeley; Johannes Stroebel, Professor of Finance at New York University; and Alexei Tchistyi, Associate Professor of Finance at University of Illinois. Please join us as they share their analyses of current trends and engage with the faculty who conducted the research. Contact cref@cornell.edu for more information and registration.